We advocate for your legal rights – and your best interests. Here’s some comments from previous clients on how our solutions-based approach achieved results for them. Richard West and his staff are very professional and have made a difficult time for me a lot easier. I would highly recommend them. 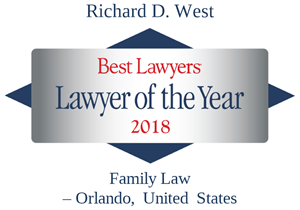 The west family law group was by far excellent in the areas of communication and personal relationship. In addition to being extremely knowledgeable and experienced, he knows how to balance the needs and concerns of a client with the technical and sometimes difficult process of divorce. Shane worked with me tirelessly during my recent divorce, and guided me skillfully and professionally thru the maze of legal filings, responses, and all the necessary paperwork. Shane has a calm and confident attitude which gave me peace of mind. I received constant communication leading up to and after my mediation. He is well respected by the legal community and has a great reputation. Richard, and the whole team, were responsive, professional, an thoughtful. I was very pleased with the outcome of my settlement. No question. Richard and his staff were very professional, responsive and insightful throughout the process. Fantastic company and team. Very knowledgeable and helpful considering I'm from England and the differences in laws, wording and times. They achieved results that far exceeded my expectations! They are readily available and will not keep you waiting or wondering. Richard is a great attorney! I highly recommend him! Excellent service and a real sense of partnership during a tough process. Thank you! Shane Herbert of WFLG did a phenomenal job as my divorce attorney. From the beginning he took time to really listen and dive into my case. I not only found better I found the best. I just told them my objectives and they have delivered each step of the way. Thank you. 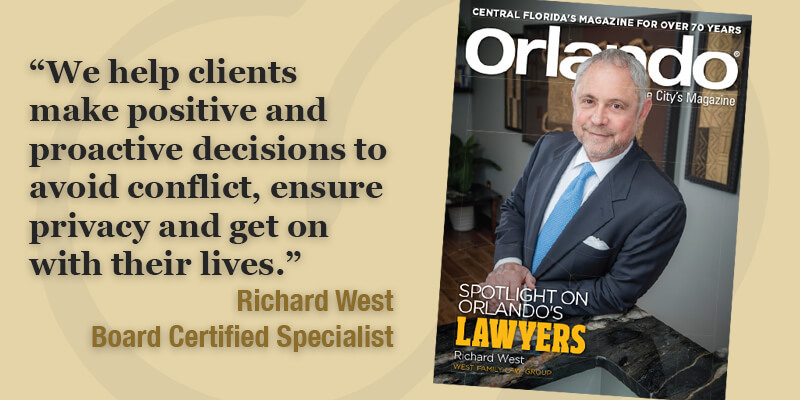 West Green is a well-respected family law firm in Orlando with a great balance between reasonable and aggressive. They were very thorough with each and every interaction, and handled my situation with the highest level of professionalism and integrity. My lasting impression of working with WG&A was everyone's willingness, empathy, knowledge and responsiveness helping navigate a highly emotional, and at times, frustrating family law process. Shane provided top notch service with representing me in my divorce and relocation of minor child. After reading this, I am struck by the enormous blessing my representation has been to me during all of this.